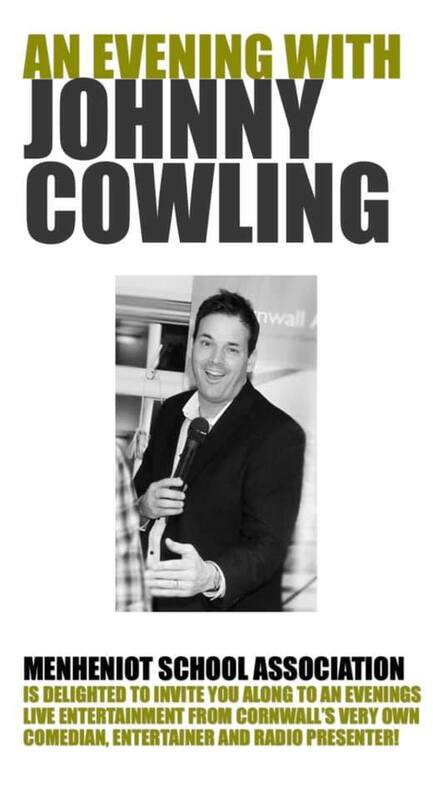 Menheniot School Association is delighted to invite you along to an evenings live entertainment from Cornwall’s very own comedian, entertainer and radio presenter! There will be a licensed bar and sharing platters available to purchase on the night. Tickets are on sale at £10 ea from Spar.